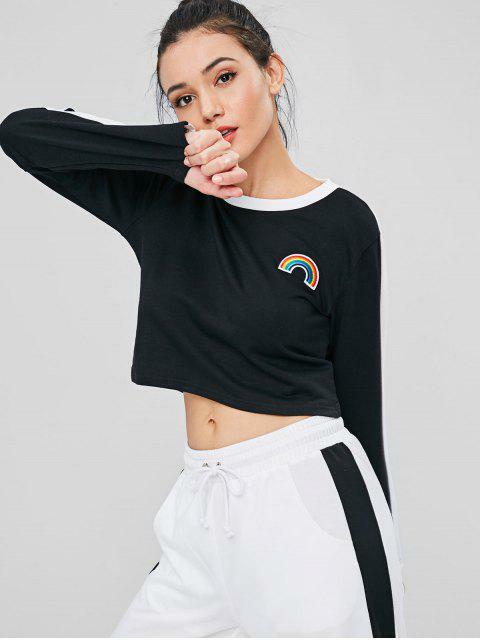 [46% OFF] 2019 Striped Embroidered Rainbow Patch Sweatshirt In BLACK | ZAFUL ..
Super cute!Looks exaclty like the pictures. In a semi-cropped silhouette, this sweatshirt is designed with a contrasting collarline and side sleeve stripy panels for a contemporary touch. The embroidered rainbow patch on the upper left side will make your look cheery. Pair with jeans for a daily look.